Write an initial concept overview / backstory. Create a few pages (at least 2+ depending on the size of your thumbnails) of well developed thumbnail sketches to help workout your design. Here are some thumbnail examples, some are more elaborate than others. Don’t be intimidated by the examples, these are just supposed to be light sketches. Play with design implementing the 'Elements of Art', line, shape, form, space, color, and texture. Each sketch should be quick and no longer than a minute or two. You are just visually exploring directions . . . Also annotate your sketches. Choose three of your best or favorite thumbnails and further explore these designs. 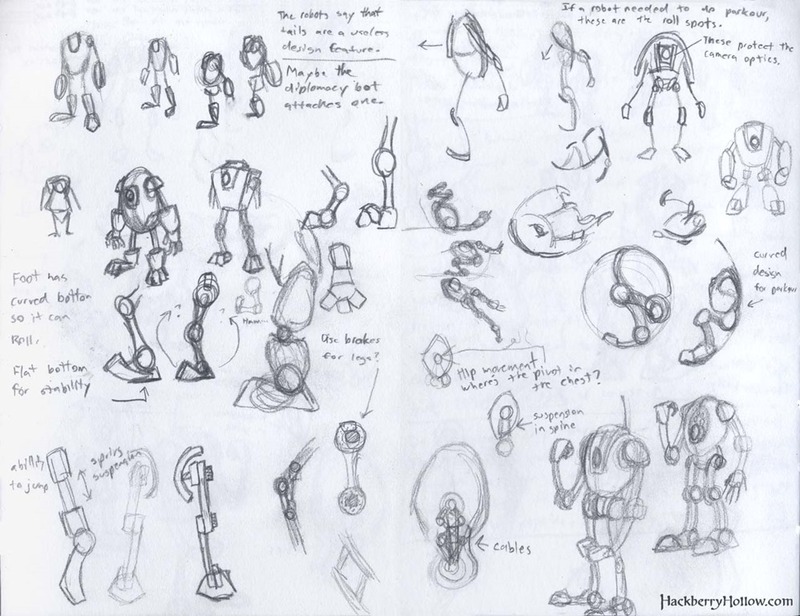 Basically, these sketches are more detailed version of your best thumbnail designs with thoughtful annotations. Create 3-5 fully development sketches. You may have multiple pages . . . Here are some thumbnail examples, some are more elaborate than others. Don’t be intimidated by these examples, these are from professionals or post-secondary students. The creation of Wall-E was highly complicated as they had to design him to be mechanical and have the mechanisms of a robot while still maintaining a level of humanity. Here is an examples of final concept design draft. 0 Response to "Robot Concept Design"